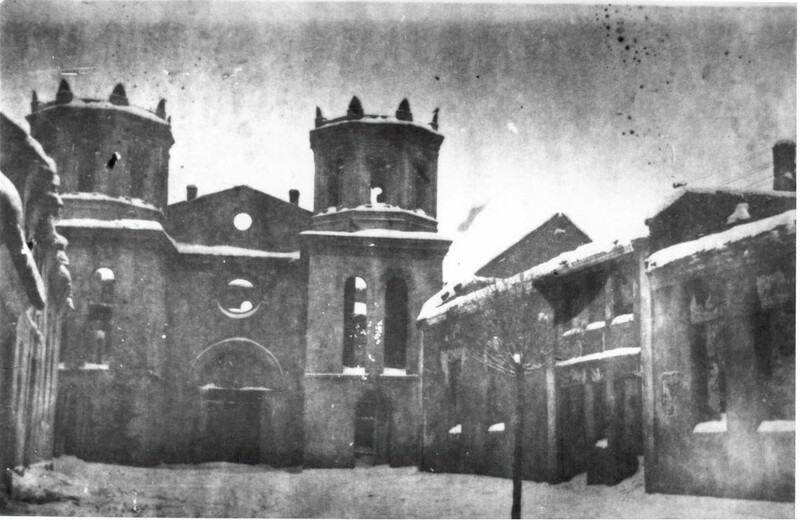 The Mielec Shul [Synagogue] was burned on 3 September 1939 . Many Jews were burnt alive in the Bes Hamedrish [House of Study] and the Kloyz [Small Prayer House] . Only the exterior walls of the burnt Shul remained and were bulldozed after the war. Photos of the Mielec Synagogue. Photo of the Mielec Shul / Synagogue. Monument on the site where the Shul [Synagogue] once stood. The Bes Hamedrish [House of Study] is the building on the left. The Kloyz [Small Prayer House] is the building on the left.